Most despised lens on the planet or what? Does anyone have a good word for the kit lens that comes with the digital rebel? It is pretty hard to find anyone on the web willing to stand up for this bargain under-dog but let me throw my hat in the ring and say that I don't think it's as bad as everyone makes out. True, it is light and insubstantial when you pick it up - I don't think there's more than an ounce of metal in it's make up and most of what's there is in the electronics. The lens' mount itself is even plastic which is often a bad sign. 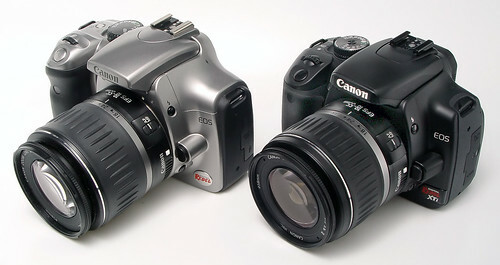 It is cheap and it feels cheap ($100 or free with your first DSLR). Being free makes it common and I think this is the 18-55mm lens' biggest problem. 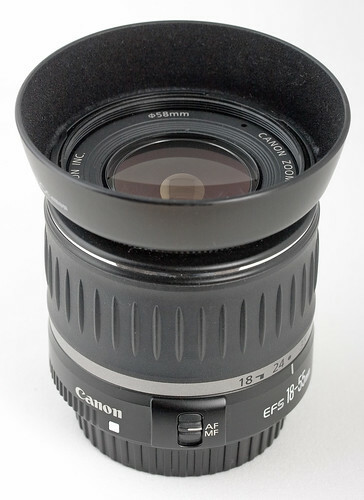 Just about everyone who has a Canon DSLR has, or has had, a copy of the 18-55mm kit lens. It's as common as muck. It carries no prestige what-so-ever. L-snobs consider it worthless; enthusiasts think it a badge of inadequates; even beginners see it only as a stop-gap until they can afford something decent and this last view may be the most accurate. Just about every review I've read of the digital rebels has said something along the lines of, "nice camera let down by the cheap kit lens". It is repeated so often by reviewers and forum pundits that we start to believe its bad press without questioning it. This bad rap is so unanimous among such places as Amazon's comments that I wonder how many of these photographers have really tried this lens and how many just blindly believe and repeat the hype. It's too easy to just blame your equipment for your horrible pictures but take a minute to dig that old kit lens out of the back of your closet and give it another try. I've already admitted that its build quality is lightweight and plastic but that can be an advantage - after the equally cheap, but much less maligned 50mm f1.8, the 18-55mm paired with a 400D makes for one of the lightest, most compact camera/lens DSLR combinations available. You give up a full time focusing ring, focus scale etc. but it is so cheap you don't have to worry about taking it anywhere - it's so light it will go in a jacket pocket and you will forget you're carrying it. It's range is not exotic but it is very useful (29-88mm in 35mm terms) which covers a large part of the range you need for walkabout, landscape, architectural and portrait photography. As for image quality, I won't pretend that this is the sharpest lens Canon has ever produced but it is not as bad as some reviews would have you believe. Wide open it is soft, especially at the edges but if you learn to work with this lens' limitations it will reward you with decent images. Avoid shooting wide open so stop down to the middle of the lens' range whenever possible. If this means hiking up the ISO a bit higher than you are usually comfortable with, then just do it and deal with the noise later in post-processing. Use a lens hood whenever possible. If the thought of spending $25 on a propriety hood for a $100 lens makes you wince then just use a cheap generic rubber hood you have lying around from your old film equipment. If you can afford the 17-40mm f4 L or the 17-85mm EF-S IS is in your budget then, by all means buy, and use, those better lenses. I'm not going to try to tell you that the 18-55mm kit lens is as good as either of those more expensive lenses but don't discount it as trash either. If you need something reasonably wide don't forget about your kit lens gathering dust. I wouldn't recommend the kit lens as your main or only lens in the long term but don't believe everything you read on the interweb - the kit lens is just not that awful. The Luminous Landscape - Of course everyone wants to know what the image quality is like. In three words — not that great. Photozone - serious users looking for a good quality lens should save a little more and look elsewhere.